Terry Gilliam was J.K. Rowling's first pick to direct Harry Potter and the Philosopher's Stone for a very obvious reason. His portfolio of fantastic movies has attracted Rowling the idea of him directing the movie adaptation of her books. Although this didn't become a reality, this simply proves how great a visionary director Gilliam is. 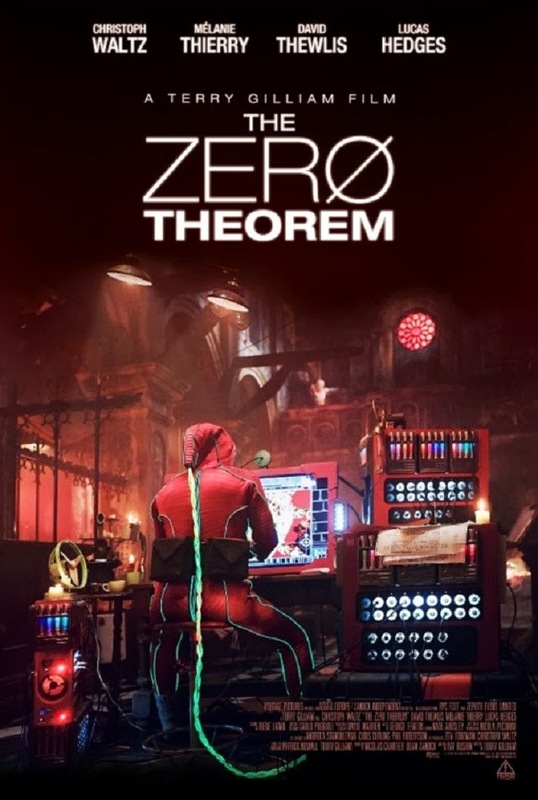 And so in his most recent work entitled The Zero Theorem, Terry Gilliam bring us to a weird world of no parallel. The movie stars the usual eccentric list of actors including Christoph Waltz, David Thewlis, Melanie thierry, Lucas Hedges, Ben Whishaw, Peter Stormare, and Tilda Swinton. Watch the new trailer of The Zero Theorem, directed by Terry Gilliam. An eccentric and reclusive computer genius plagued with existential angst works on a mysterious project aimed at discovering the purpose of existence - or the lack thereof -once and for all. However, it is only once he experiences the power of love and desire that he is able to understand his very reason for being. The Zero Theorem has already premiered in Europe in September 2013, and will make it's way to us sometime this year.